and a chance to chat to the Lancaster Arts team. We'd be delighted to welcome you to our spring season launch featuring live music, talks, drinks and canapés in the Great Hall complex at 6.30pm on Tuesday 23 January 2018. 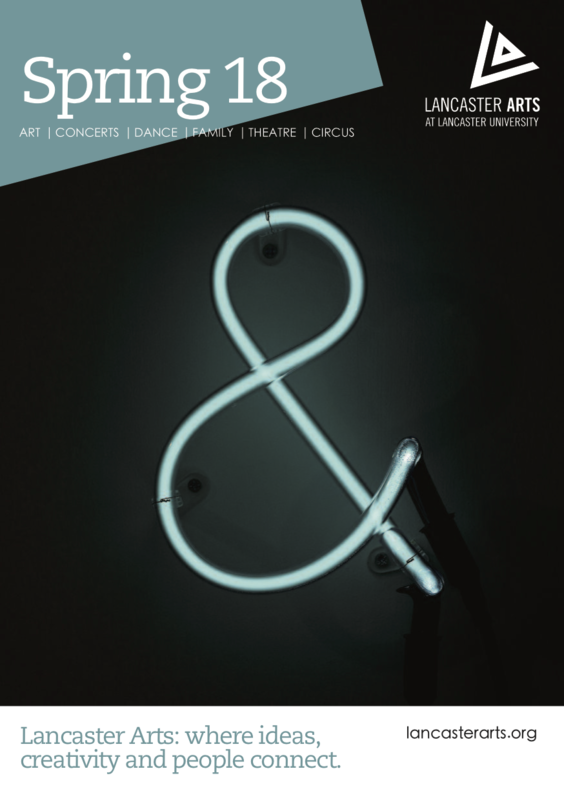 There will also be the opportunity to see our new exhibition, Conduct in the Peter Scott Gallery and a performance of Dancer in the Nuffield Theatre at 8pm. With a blistering soundtrack careering from Kylie to Nick Cave, Dancer attempts to understand what it is about dance that makes us feel most alive. The performance was co-created by the late Adrian Howells and promises to be a fitting finale to our launch celebrations! All are welcome to our launch event there is no need to book. However, if you'd like to join us for the performance of Dancer at 8pm you will need to purchase a ticket from the event page.